Lekker afkoelen na een mooie wandeltocht? 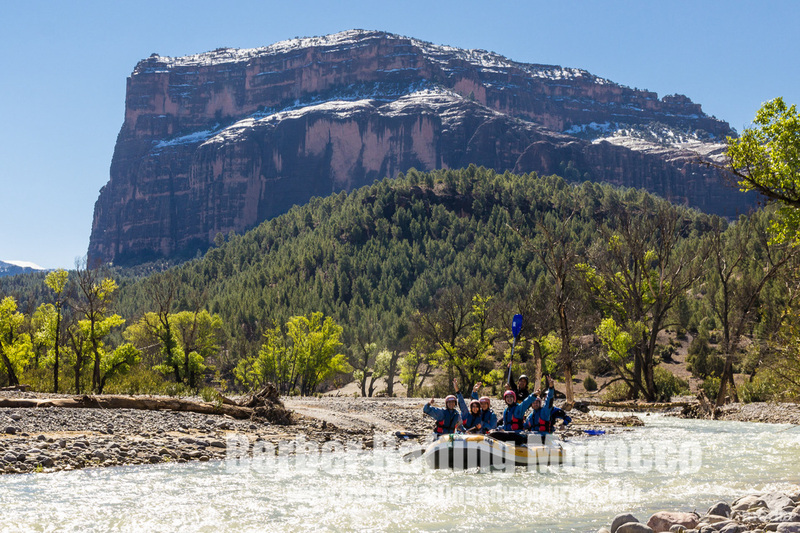 Wij varen anderhalf uur op de Ahansal rivier met een spectaculair uitzicht op de canyon. Wij beginnen vanuit "La Cathédrale" en eindigen in het berber dorp Tilouguite. Het lijkt veel op "Jungle Book" met apen die overal heen en weer springen. Deze tocht is voor beginners en het hele gezin vanaf 6 jaar. 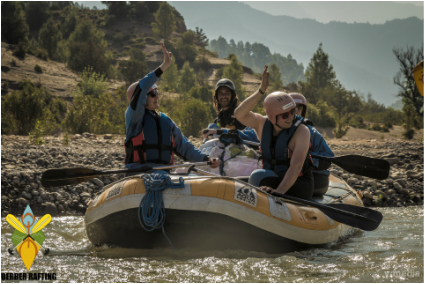 This is a halfday white water rafting trip on the beautiful Ahansal river. Either a short day out with your kids or a refreshing splash after your morning trek, this is for everyone. We float down from the Cathedral rock until the village Tillouguite for 1,5 hours in the canyon with its blue, magical whitewater below a temperature of up to 30 degrees way through the red-colored mountains. It is an ideal combination of desert and mountainous landscape. 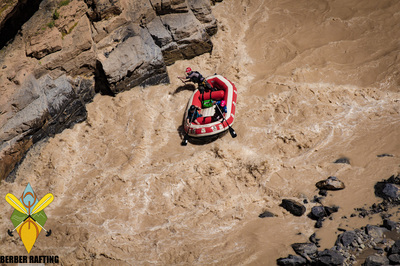 Grade 2/3 snow melt river running from March-late June each year. With heavy snow fall it can run into august. 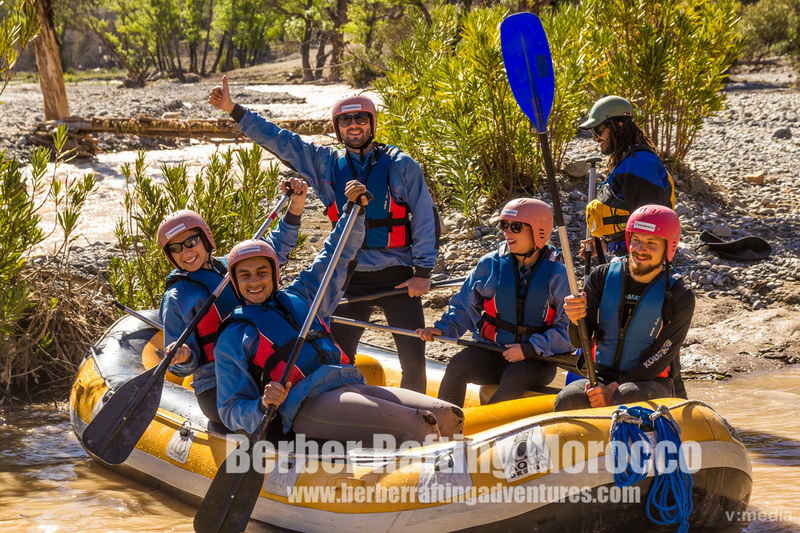 Going downriver in Morocco is the dream of almost all lovers of rafting. 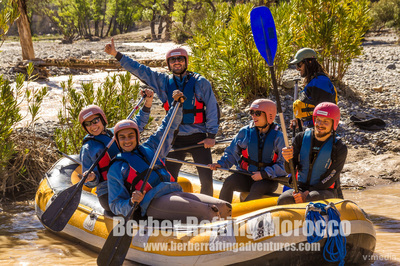 This is the paradise of whitewater rafting and paramount amongst locations is Assif Melloul. 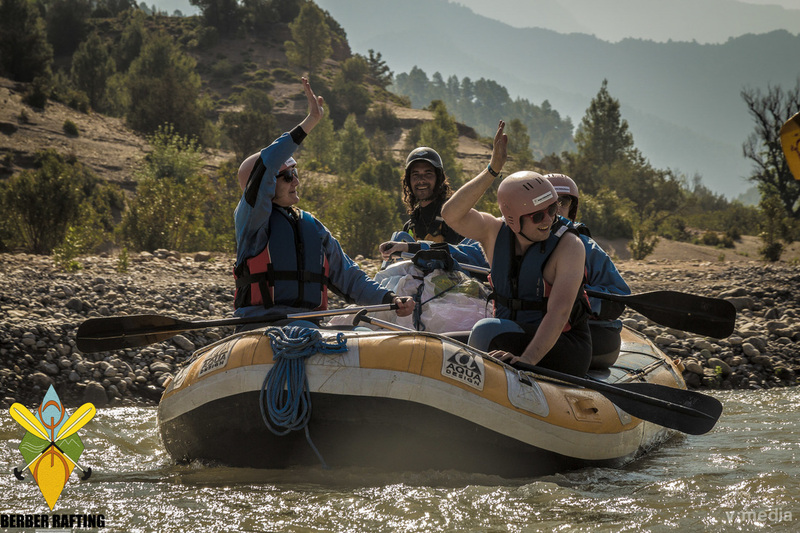 Rafting on Assi Melloul is undoubtedly a unique experience not to be missed. 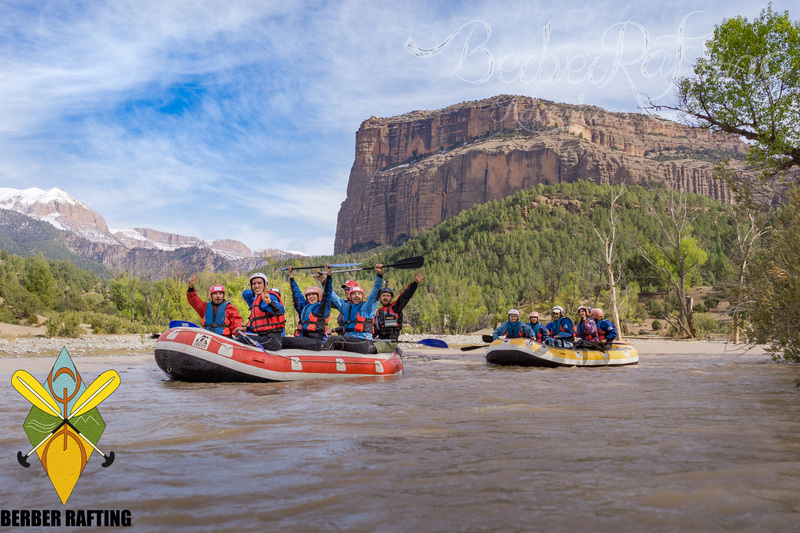 For the ones who feel more adventurous! 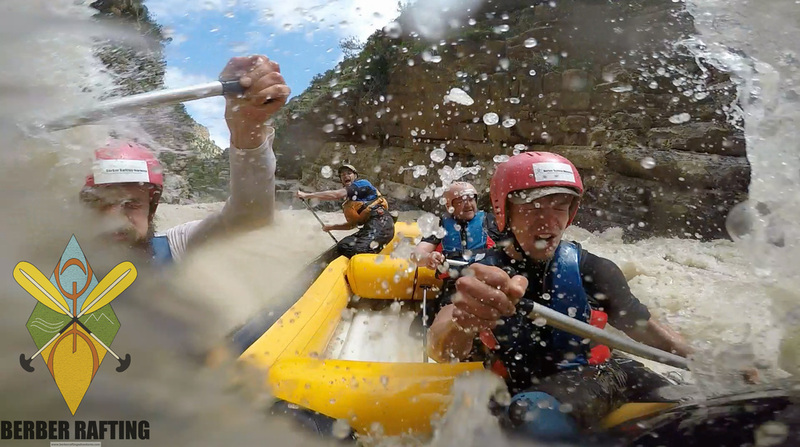 This is our favorite day trip because you get the chance to paddle two different rivers in 1 day. We start higher up and float by the Cathedral rock until the village Tillouguite for 2 hours in the canyon with its blue, magical whitewater below a temperature of up to 30 degrees way through the red-colored mountains. It is an ideal combination of desert and mountainous landscape. The first part is Grade 3 (grade 4 in high water) snow melt river running from March-May each year. In an exceptional environment, this valley offers a journey of almost 20 km of navigation. 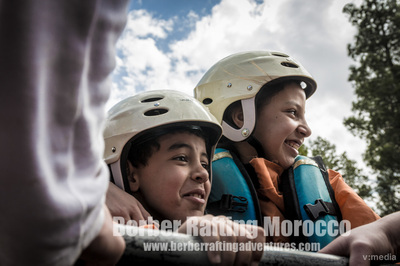 It is located 80 km south of Beni Mellal. 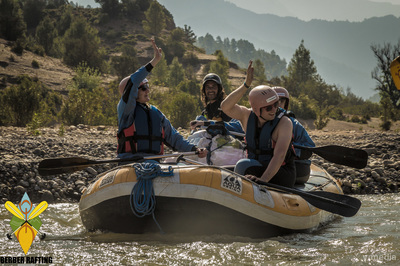 The route is dotted with rapids crossing an Aleppo pine forest landscape. 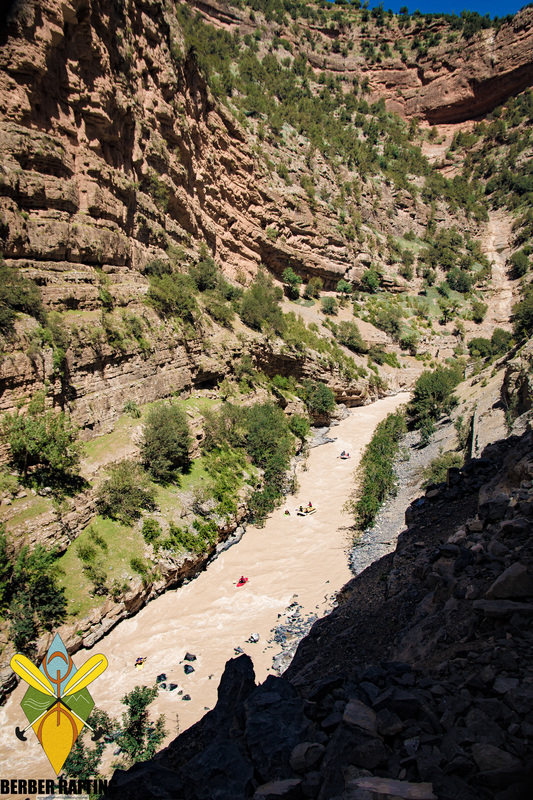 In a magnificent setting of beautiful river gorges, Assif Melloul allows you an easy, enjoyable rafting trip. To help you get the most out of your trip, guides are available to give instructions and guidance on navigation. The most-favorable period is between March and May. 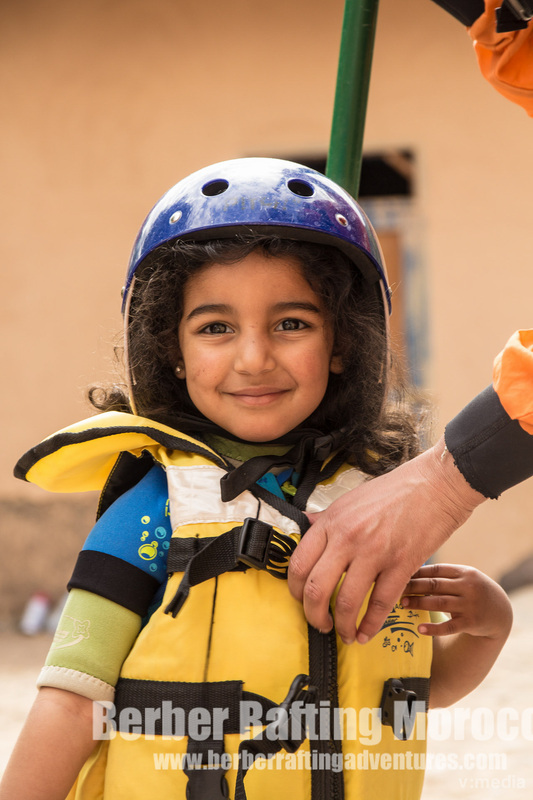 For the ones who would like to explore the High Atlas. 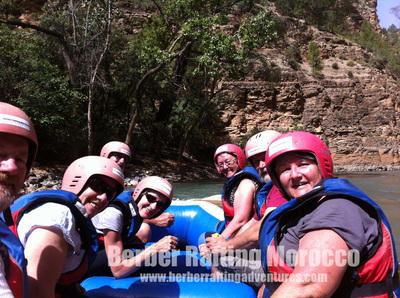 We offer a multi-day rafting trip on the Assif Melloul as well. For more info get in touch with us.